CANTON, Ohio (Reuters) - If Donald Trump wins the Republican Party nomination, his path to the White House will run through this working-class city with a knack for picking presidents. The real-estate mogul’s primary wins in Michigan and in Mississippi on Tuesday, in the face of blistering attacks from the party's establishment, expanded his lead in the White House nominating race and demonstrated his broad appeal across many demographic groups in the Republican Party. A more immediate test looms next week in the state’s Republican primary, where polls show Trump narrowly leads Ohio Governor John Kasich, who casts himself as a pragmatic, statesman-like alternative to Trump. If Trump wins Ohio and Florida — states rich in the delegates who select their party's nominee at July's Republican National Convention - he would almost certainly lock up his party’s nomination. Sitting in a steel workers' meeting at their Canton union hall, Curtis Green, the chapter's vice president, described Trump's support among a growing number of members as their "dirty little secret." "I view him as a radical and a racist and I don't want to be affiliated with that," Green said. "But if you say what you mean, a lot of guys see that in Trump and they respect that. He doesn't dance around the issues, he takes them head on. 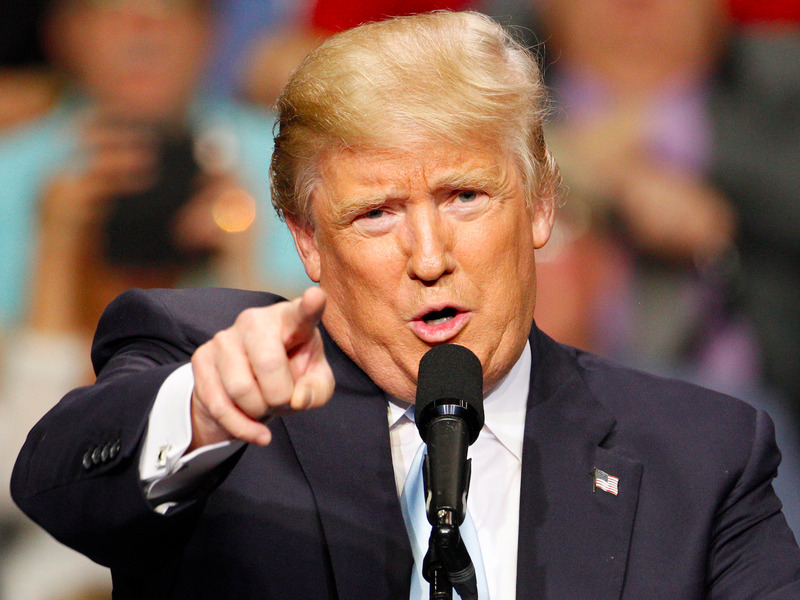 There are a fair amount of our members who do support Donald Trump." 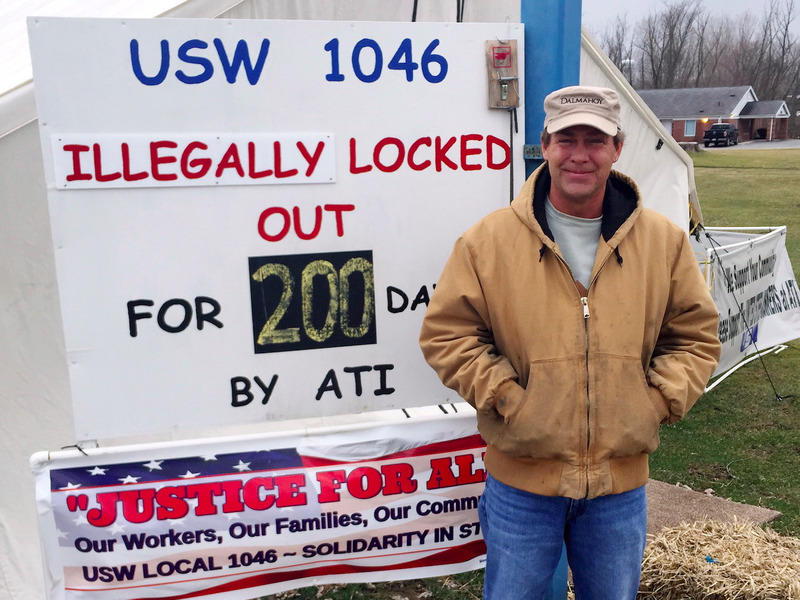 Keith Newbold, a United Steelworkers member, stands at a picket outside steel manufacturer Allegheny Technologies, near Canton, Ohio March 2, 2016. In this city of 72,500 people, Trump's denunciation of free trade, political correctness and illegal immigrants is resonating among some traditionally Democratic blue-collar steel workers. "The labor unions, who usually support the Democrats, a lot of our members, and a lot of their families, are supporting Trump," said Keith Strobelt, a political director for the United Steelworkers local union in Canton. Strobelt does not support Trump. Canton's local United Steelworkers union has 1,800 members - down from 6,700 at its peak 30 years ago. Its leadership has not officially endorsed a candidate, thought it has praised Democrat Senator Bernie Sanders. Some rank-and-file members, however, say they better identify with Trump’s broadsides against illegal immigration and tirades against trade with China and Mexico. "It could be that several hundred of our members will back Trump," Strobelt said. "A lot find him refreshing. He says a lot of things they say around their dinner tables." epublican presidential candidate Donald Trump greets supporters after speaking at a caucus night watch party at the Treasure Island Hotel & Casino on February 23, 2016 in Las Vegas, Nevada. But in a general election, Trump faces formidable odds in Canton, as he does across Ohio and the Midwest. Canton and the region is changing in ways that favor Democrats, reflecting the Republican Party's broader problems with a U.S. electorate that is becoming less white and less culturally conservative. “While Trump might pick up blue collar Democrats, and older folks who are disillusioned with the political process, the flip side is he could lose more upper-status voters in Ohio," said John Green, a political science professor at the University of Akron, close to Canton. "Republican Party leaders in Ohio are wringing their hands. There is a perception that Trump helps among blue collar voters - but could alienate white collar voters." Jane Timken, the vice-chair of the Stark County Republican Party and the wife of TimkenSteel's chief executive, said the local party was encountering people who had never voted Republican before but were supporting Trump. But, she said, there was concern Trump might turn off other voters, especially independents who account for one fifth of Ohio's voters. There is no polling to predict which way Canton and Stark County will vote in November's general election. But after a long era of mixed local government, the city council, after elections last year, is now made up of entirely Democratic Party members, although the current mayor, a former Democrat, won office as an independent. Mary Anne Marsh, a Democratic strategist, cites Trump's dominant performance in the Republican primary in Massachusetts on March 1. Although not a rust belt state, Trump won big in heavily blue collar, union cities. "Trump put together a coalition in Massachusetts that elects Democratic governors. He won among Catholics, a week after picking a fight with the Pope. I absolutely think he can put the rust belt into play," she said.